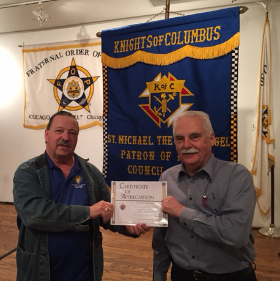 Grand Knight Dennis P. Fitzgerald presents a Certificate of Appreciation to Past Deputy Grand Knight Maurice L. “Maury” McNulty! 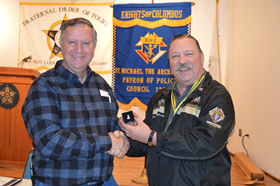 for his 18 years of continuous service and loyal to the Police Council. 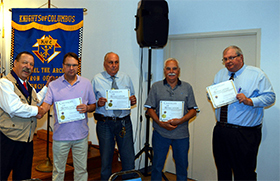 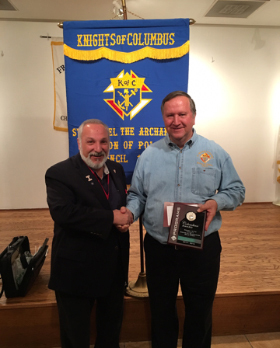 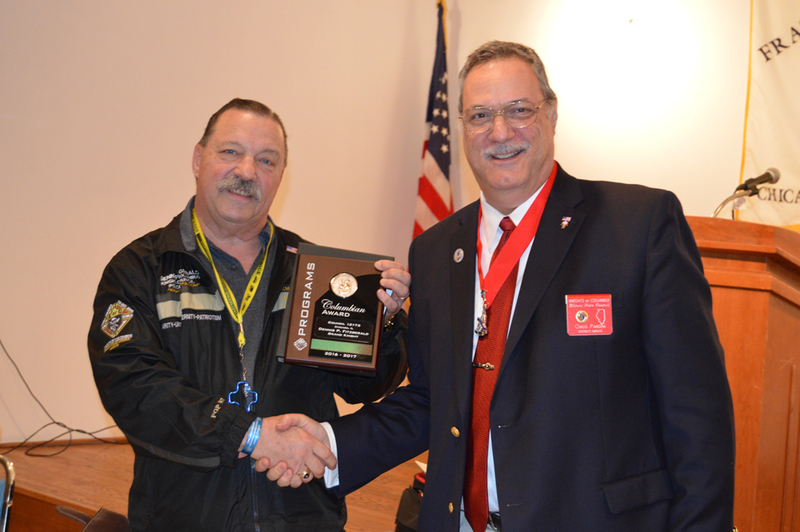 Grand Knight Dennis P. Fitzgerald presents Certificate of Achievement awards too. 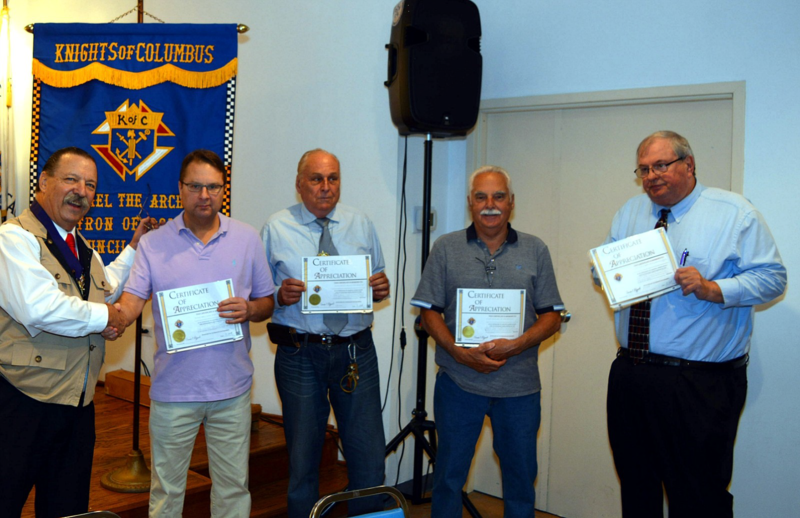 Golf Committee Chairman SK Terry D. Cornell, Jr., SK Michael L. Bono, SK Gerald A. Saternus and SK Wayne F. Bubak. Rest In Peace, Brother Knight Commander Paul Bauer. 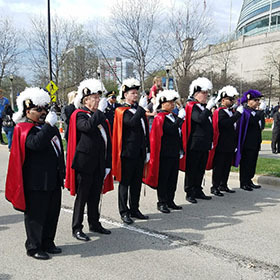 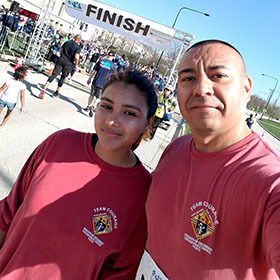 You are a true Chicago hero. 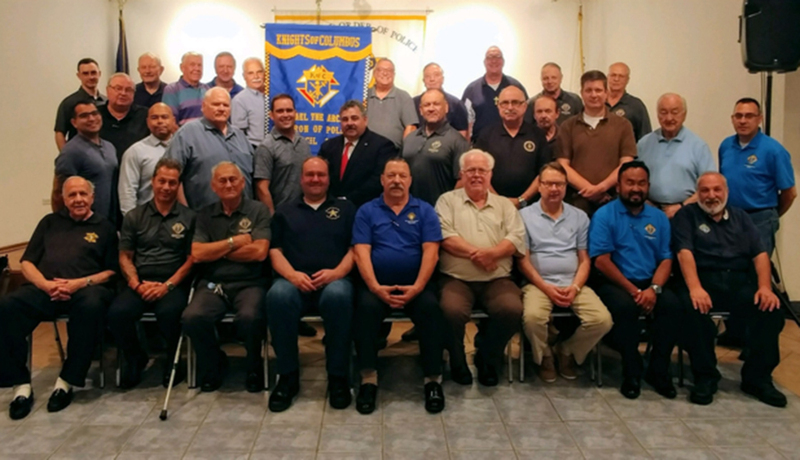 24 OCT 2017 Fr. 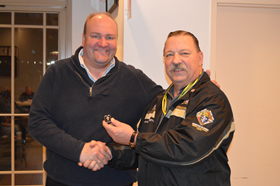 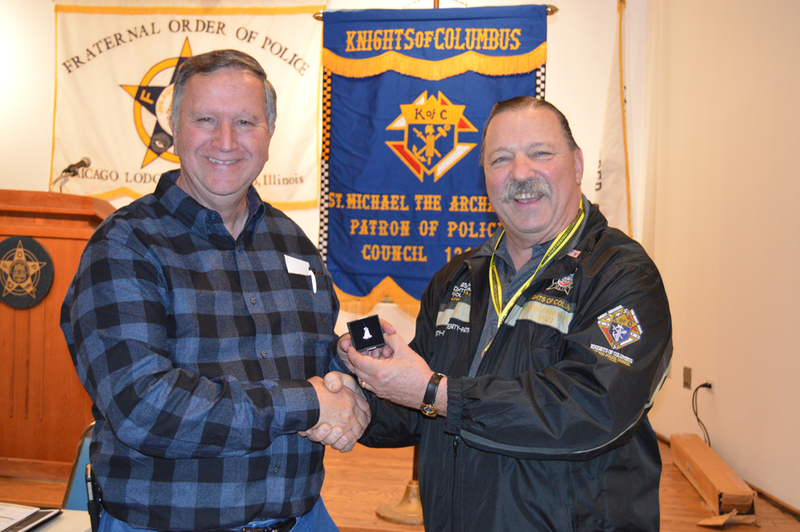 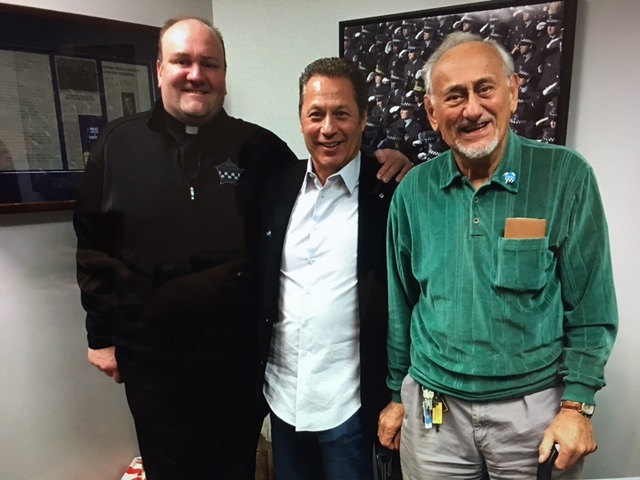 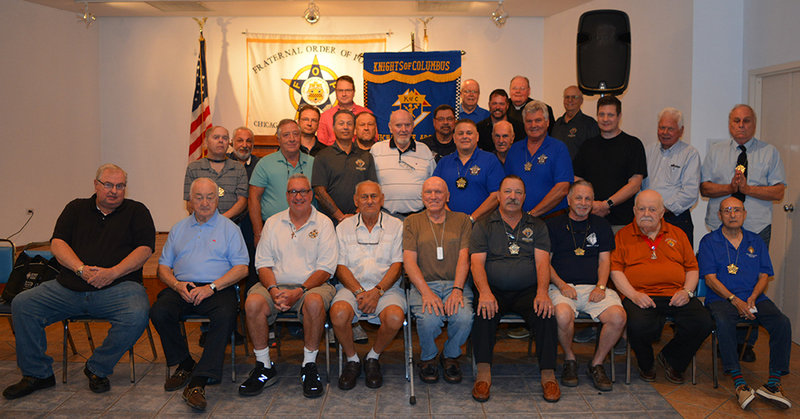 Dan Brandt our council Chaplain receives the Chaplains Pin from GK Dennis Fitzgerald, PGK SK Michael Schumacher receives his Past Grand Knight pin and DD Greg Pardini presents the programs award to GK Dennis Fitzgerald who accepts it on behalf of our council. 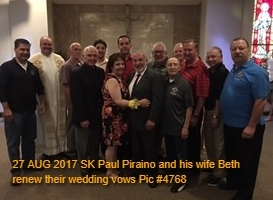 and his Beautiful Wife Beth for 30 years renew their wedding vows with family, friends and Brother Knights. 18 JUL 2017 St. Michael League First-Responders Mass attended by our Brother SK Paul Rutherford at Most Holy Redeemer Church, Evergreen Park. 24 MAY 2017 District Deputy Paul Piraino presents Recruiting Award to GK SK Dennis Fitzgerald and SK Paul Rutherford. 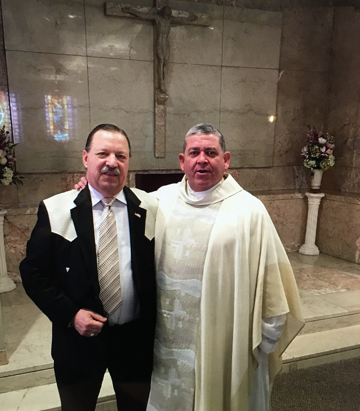 26-MAR-2017 Fr. 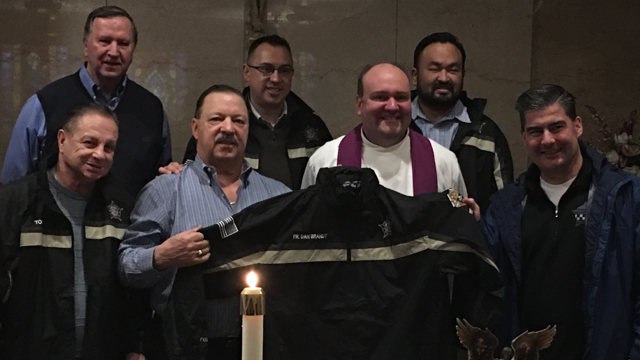 Dan Brandt receives his K of C Council 12173 Saint Michael The Archangel, Patron of Police Officers and Soldiers jacket after the Mercy Police Mass with council members in attendance. 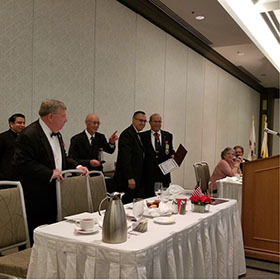 24-MAR-2017 A strong welcoming hand shake from GK Dennis Fitzgerald to our newly installed Financial Secretary SK Rocco Piraino as authorized by Supreme with SK Jerry Saternus . 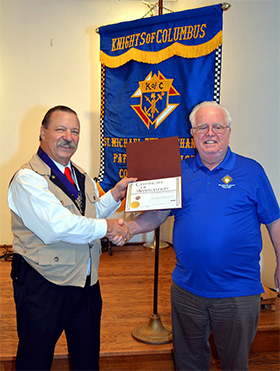 24-MAR-2017 GK Dennis Fitzgerald presents a certification of appreciation to SK Jerry Saternus as outgoing Financial Secretary for over 18+ years of faithful service. 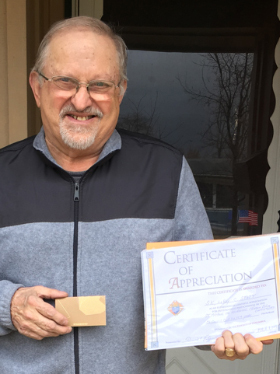 3-MAR-2017 SK LeRoy Statt receiving Certificate of Appreciation and Starbucks Gift Certificate for 15+ years of service above & beyond as our self appointed council cook with all it's extra hours each month ....shopping, preparation, clean-up an sale monitoring. We are very thank full....many many thanks. 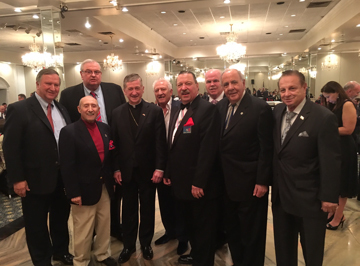 24-FEB-2017Cardinal stops by fundraiser for Police Survivors. 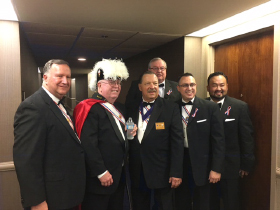 18-FEB-2017 PGK Michael Schumacher, DGK Maury McNuntly and GK Dennis Fitzgerald with new 4th Degree Members Wayne Bubak, Paul Rutherford and Pedro Momohara Jr. 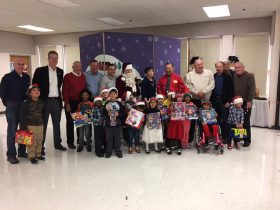 The Council's Annual visit with Santa Claus at Blair School. Fr. 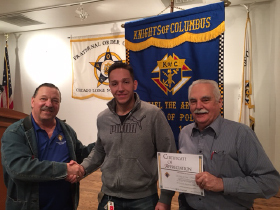 Dan congratulates new member Ben Minasola (a second generation Knight) and his proud father Tom, a Knight for over 16 years. 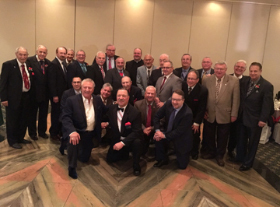 Cardinal as man of the year IALC 2016. 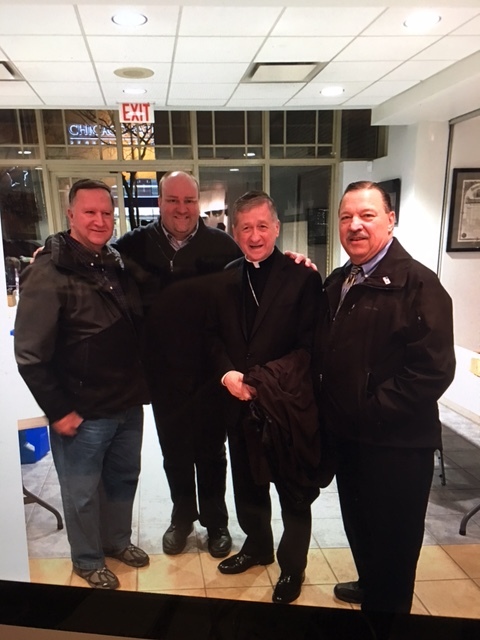 5-NOV-2016 Fr. Dan recognized as Humanitarian of the year by the IAPA 2016 with Council members attending the event. PGN Michael Schumacher receives the 2016-2017 Programs award from District Deputy Paul Piraino on behalf of the Council.